If you ask someone to name a Celtic language, most people will offer up Welsh. A few may be aware that nearly one hundred thousand people speak Irish, while fewer still will know of Scottish Gaelic, which is still spoken north of the border. But the odds are not many people will know that up until the beginning of the 20th century, England had another indigenous language spoken within its border – Cornish. Over the last 200 years Cornish has all but died out in Britain. Yet the minority language is making a comeback. And to help keep the struggling language alive, the UK Government has announced £120,000-worth of funding for the Cornish Language Partnership. Deputy Prime Minister Nick Clegg said: “It’s a priceless part of Cornwall’s heritage and right we have played our part to keep the Cornish language alive. The Cornish Language Partnership is made up of language organizations, local authorities and a number of other bodies that have come together to promote and develop the Cornish language throughout the county. In January, the partnership celebrated the unveiling of the 1,000th street sign to be translated in Cornish by its Place-name and Street Signage Panel. The translations of street signs are undertaken for Cornwall Council by a panel of volunteers supported by the Cornish Language Partnership. The latest round of funding will help the partnership work with businesses to develop branding in Cornish, as well as increase the knowledge and use of the language in schools. Jennifer Lowe, from the partnership, said: “The use of the language has grown considerably. People are very interested, it’s not just the people in Cornwall, it’s the level of interest of visitors to Cornwall as well. Before the Romans arrived in Britain, two different but closely related language groups formed the base for the development of modern Celtic languages. Q-Celtic developed into what we now know as Scots Gaelic, Irish Gaelic, and Manx, while Brythonic Celtic (also known as P-Celtic) is the root of Welsh, Breton and Cornish. Over the years, the Cornish language has been a source of great pride in the region, where many continue to celebrate a time when Cornwall was a distinctive part of the country with its own customs, traditions, and, of course, language. 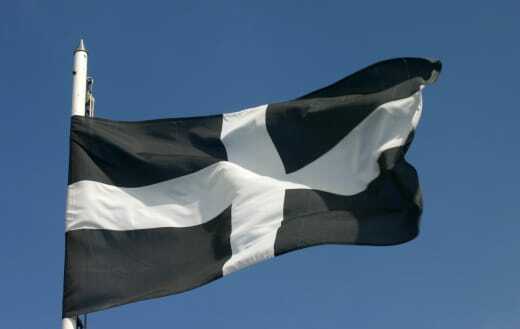 Efforts to define the Cornish identity are so strong that recently the political party Mebyon Kernow (Cornish for Sons of Cornwall) has even proposed a national assembly for the county. The party, which has five Cornwall Council members, says it should have the same powers as the Scottish Parliament, with control over the majority of the public sector – including the National Health Service. It may be some time before we see a battle for independence similar to the political to-ing and fro-ing currently surrounding the Scottish referendum, but moves such as the recent funding announcement will give a welcome boost to campaigns aimed at reviving the ancient and rich language of Cornwall.